‎"Sometimes the wrong choices bring us to the right places." the fact that I got to set the date for my first job interview next month. Keep your fingers crossed for me people! 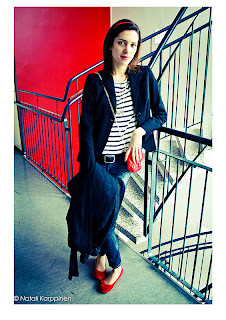 Here's an INTERVIEW regarding my photography which I did a week ago. The bag is lovely. It looks great on you. The color is vibrant and attractive. Ummm delicious food babe! 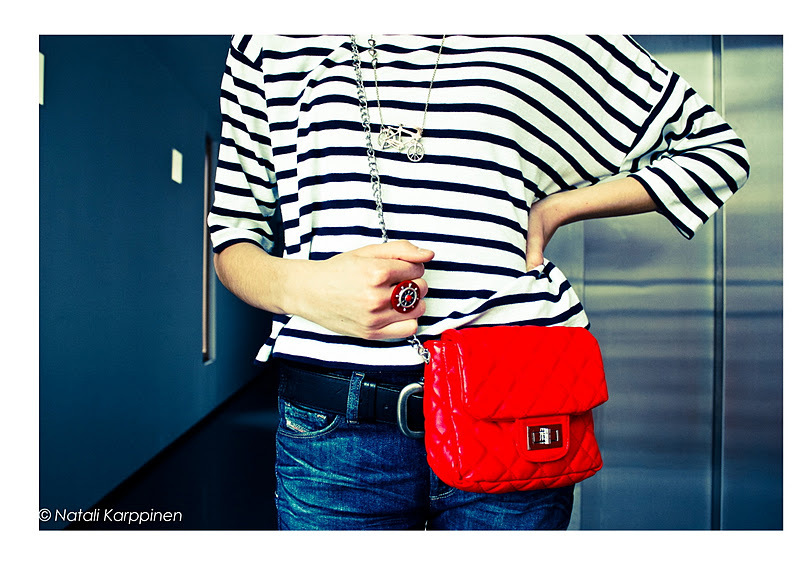 And you look great with red & stripes! red looks amazing on you! Im inviting you to my INTERNATIONAL giveaway where price is bag full of amazing gifts! Ja jos nisam jela japansku hranu to kod nas u Banjaluci jos nema :(,a bas bi voljela probati. 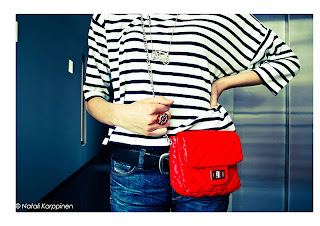 love that red bold bag ! 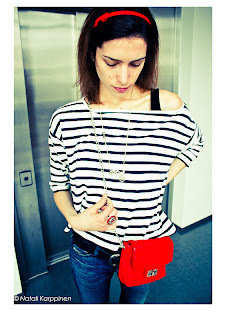 great blog...i am in love with the bag! !